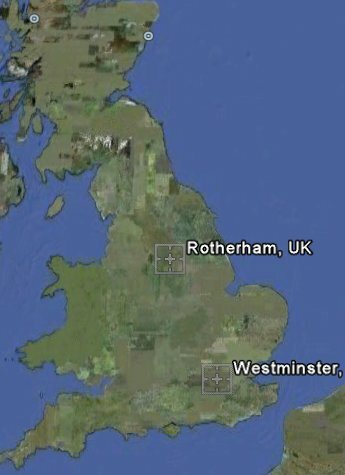 RealUfos is looking to hear further from the folks in Rotherham in the UK where a large triangle Ufo was apparently seen during day light this month. 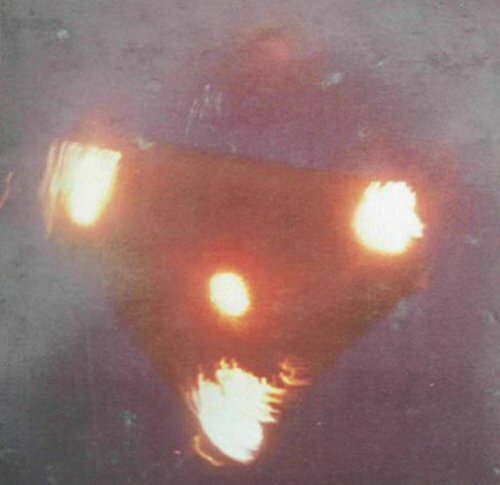 The sighting is being compared to the likes of the 1990 Belgium sighting because of the similarity of the triangle craft. If you have further photos or know more about this sighting please response to this post asap, we would like to know more. 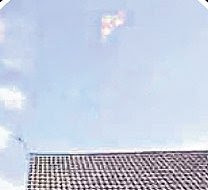 Below is a cropped and zoomed in enlargment from the original photo, you can see a bright triangle outline. 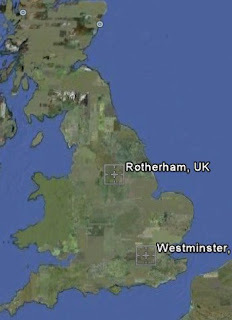 where's the UFO? Please don't tell me its disguised as a cloud. 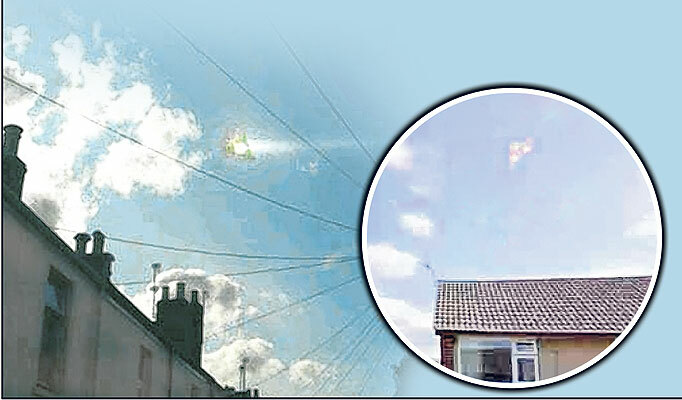 Damn those invisible UFO's... so hard to identify. The Belgium 1990 siting is real. One of these flew over my house in Virginia when I was 16, it was directly over the tree line around 8 or 9pm, everyone was awake and I was outside practicing martial arts with my staff. I could hear what sounded like a loud helicopter but it was too deep and then this thing flew over my house slowly. It didn't have a center light like most images show. It had 3 lights on each corner like magma, unless I just don't recall the center light. It was really like lava and they were bright but the triangle was dark. It was also huge. I couldn't decide whether to run inside and grab a camera or stay and watch in awe. I didn't want to miss it so I stayed and watched.